Every year on February 22nd, Scout Groups across the world celebrate Robert Baden-Powell’s birthday, in commemoration for his founding of the Scouting movement. The humble beginnings with a Boy Scout camp of 21 in Brownsea Island in Poole Harbour, Dorset, England, in 1907, has grown into an international youth co-ed movement hosting Jamborees with up to 100,000 participants. The impact of this global fellowship strengthens values of kindness and respect in day-to-day life. Starting in local groups, youth find a sense of adventure and belonging as they overcome challenges with their Scouts, and set their next goals exploring and caring for the community and world they live in. Today, Scouting continues as a youth-led program that lets you craft your own experiences. As a youth-led movement it allows them to conquer their own obstacles and lead their own adventures. In my own Group, 1st Centre Lake, we celebrated our accomplishments with a Baden-Powell Potluck. This potluck allowed us to give thanks not only to our founder, but to the Scouters, adult volunteers, and exemplary youth who lead our Sections with passion. Based on the interests of our youth, adult volunteers guide them through different challenges, such as badges and camping. Our youth are dedicated and hardworking and our Scouters and adult volunteers are as patient and as kind as ever. 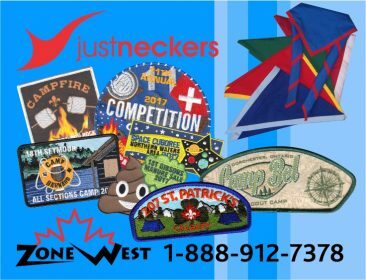 Without all these inspiring Scouters, Rovers, Venturers, Scouts, Cubs, and Beavers, 1st Centre lake wouldn’t be the vibrant Group that we are today; because that is all we are: amazing humans here together to better ourselves and those that touch our lives. As such a diverse group, we had youth from all our Sections, ranging from Beavers at the age of five, to Rovers eighteen and older. We each took the time to talk about the activities we do, share our favourite memories, and thank the Scouters that help run each Section. We all shared the pride for our youth with photos, stories, and gave out awards and commendations for those showing stunning leadership. Our biggest thank you goes to our Scouter Nicole Pope, who does amazing work organizing our Sections and, to quote our Cubs, “makes Scouting awesome, is a great Scouter, is funny, and is the best person ever.” Our appreciation goes to every single volunteer and Scouter who takes time to help youth in Scouting better themselves and their community. Thank you Emma for leading our Youth in a fantastic sharing presentation at our BP Dinner. 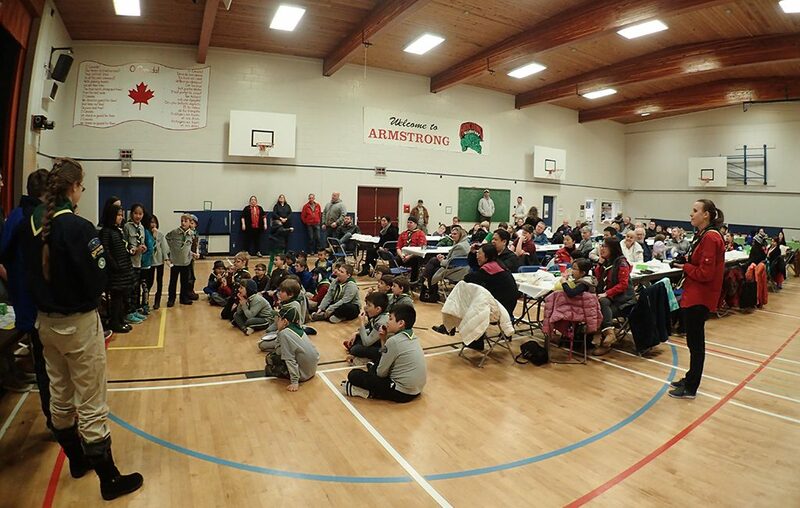 It was great for the parents and Scouters to hear from the youth about your adventures, things you have learned, and how much our Scouters and Scouting mean to you all. Good job Emma I’m proud of you! Awesome article Emma! you did a great job of organizing all the sections to speak about and thank the Scouters!